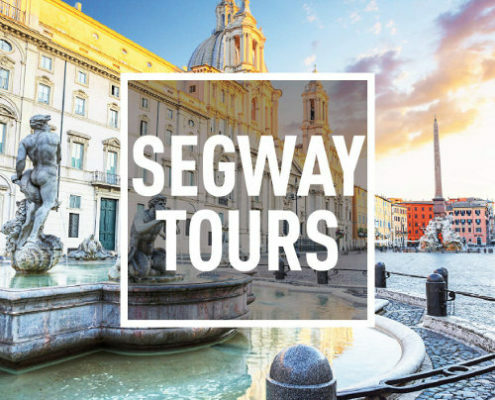 Simply effortless: pick one of our five Segway tours that will take you to the city’s most famous sights and hidden treasures in Rome. On a Segway wou will get to see a lot more than it would ever be possible by foot. Only Rex-Tours guarantees small group Segway tours with maximum 6 participants. This way you will be able to ask all your questions about Rome and its marvellous history. Our Rome bike tours are an unique occasion to cycle through the Eternal City and see all the beautiful sights. 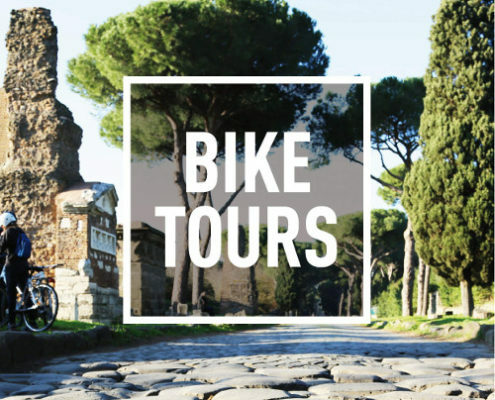 Ride with us through the historic city center or over the 2,000 years old ancient Appian Way. You can also enjoy our Rome City bike tour by night when the city is illuminated in a magical light. Our small tour policy ensures a maximum number of only 8 participants. This way we ensure our guests to have plenty of time to ask questions and take wonderful pictures. Enjoy at least 12 real Roman specialities, local wine and typical dishes in Rome’s best restaurants. 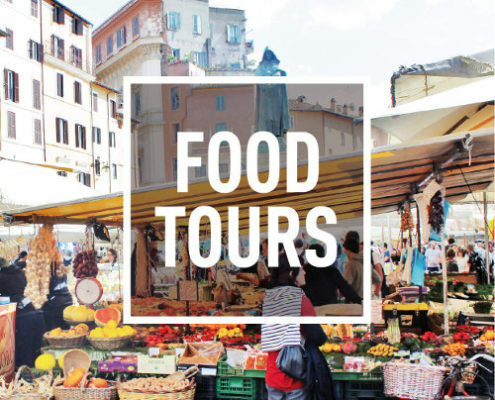 Our Rome Food Tour will guide you through the most traditional culinary area around the famous historic Campo de’Fiori food market. Discover secrets about Roman food and learn how to avoid tourist traps. Taste the most authentic pasta, pizza, gelato, coffee and much more and meet real Roman chefs and food vendors. The Rex-Tours Panoramic Tour takes you in small groups to see the most beautiful views overlooking the city of Rome. Let your gaze wander over the roofs and cupolas of the eternal city and seize the opportunity to take fantastic pictures. 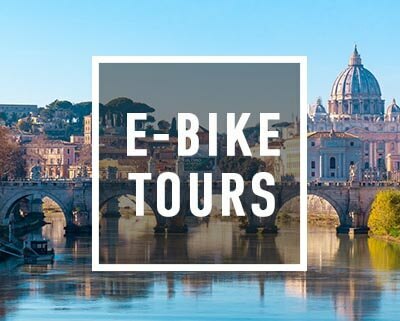 The Rome by Night E-Bike tour shows you the famous monuments of Rome in the splendid light of the sunset and the blue hour. 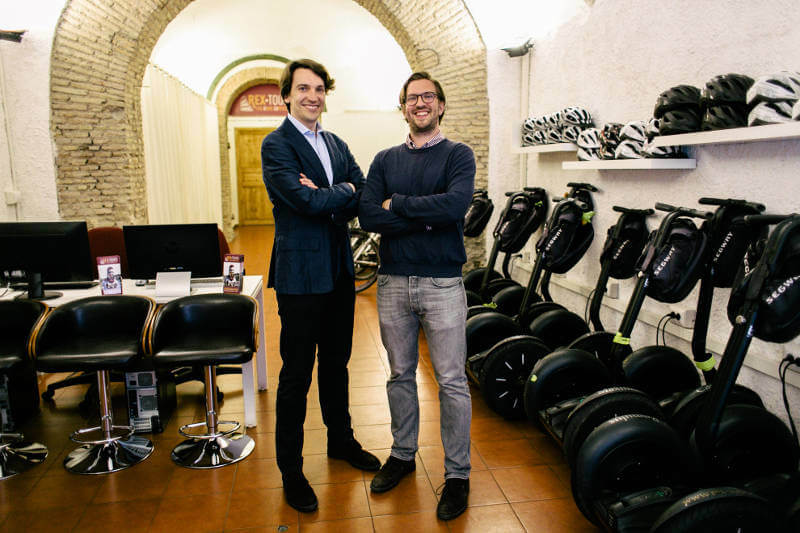 Book our Segway, bike and food tours as a private tour and experience Rome in an individual and unique way. This is the perfect choice for families, groups of friends or couples. We will make sure to offer you individual private tours according to your preferences. 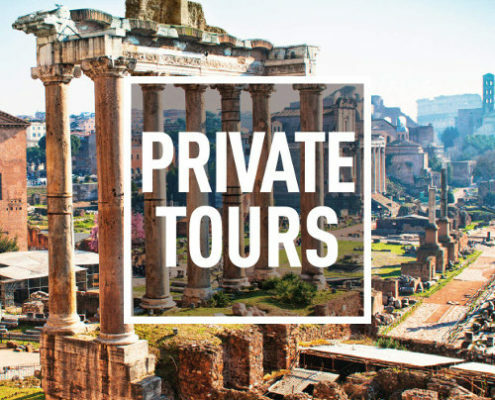 We are looking forward to having you with us and showing you Rome’s treasures on our special private tours. Come with us and travel through time to explore the famous amphitheatre Flavius, also known as the Colosseum, and the most impressive temples and palaces on the Palatine Hill and in the Roman Forum. 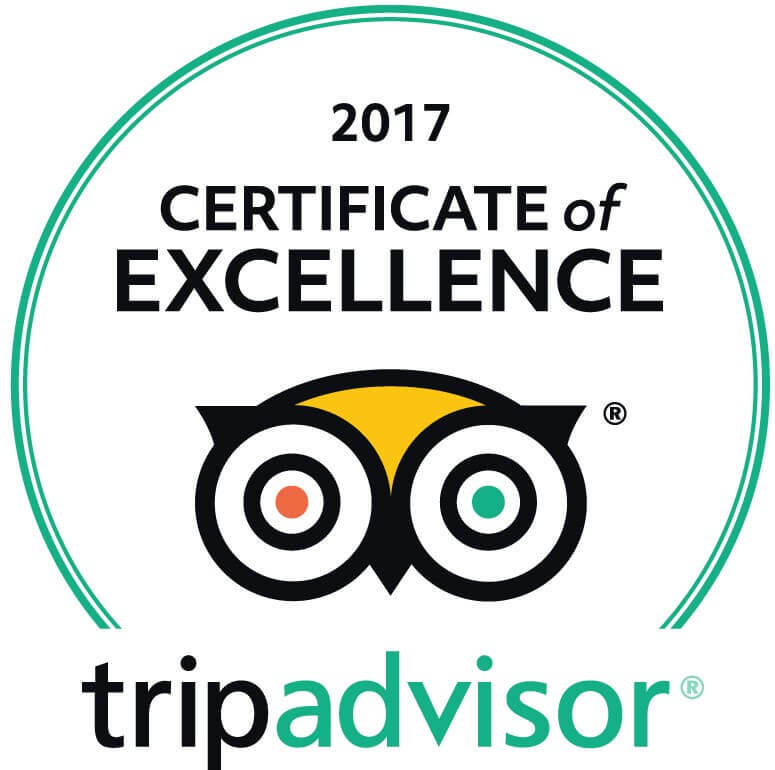 Our guides are certificated and know Rome like the back of their hand. 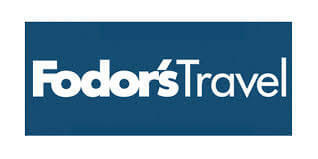 Their knowledge and charm will make your tour truly memorable. 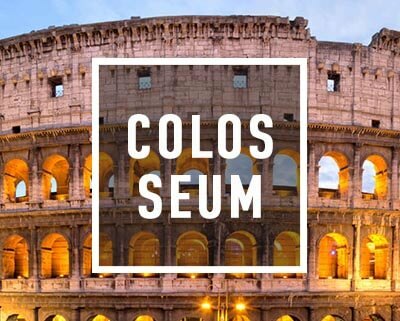 The Colosseum & Ancient Rome can also be booked as a private tour! 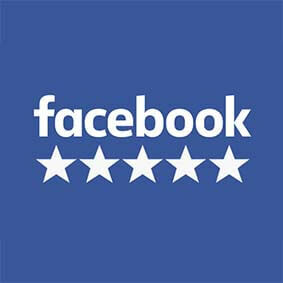 We want to thank all our guests for their wonderful reviews! 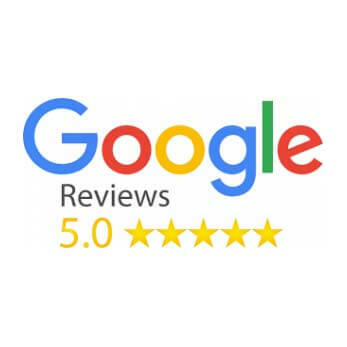 Hundreds of excited and satisfied guests already gave us a five star “excellent” rating on the world’s leading travel platform tripadvisor.com. 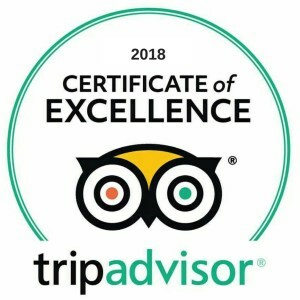 Now we invite YOU to come with us and explore the historical, architectural and culinary highlights in Rome: book a Segway tour to see all the marvelous sights without much effort, ride a bike in Rome’s city center or on the ancient Appian Way or try authentic Roman dishes in typical bakeries and the best restaurants in Rome during our food tour. We are Leopoldo and Massimiliano Marroni and run Rex-Tours. Thank you for your interest! Spending half our lives in our native city Munich (Germany), we felt the desire desire to discover our Roman roots. After moving to the Eternal City we were finally able to live out our inherited Italian hospitality and culture. Combining Italian courtesy and joy of life with German proficiency we figured out the best possible way to share our love and passion for Rome. 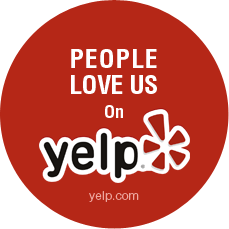 We are convinced to have made the right decision, because we love what we do and enjoy every single tour. 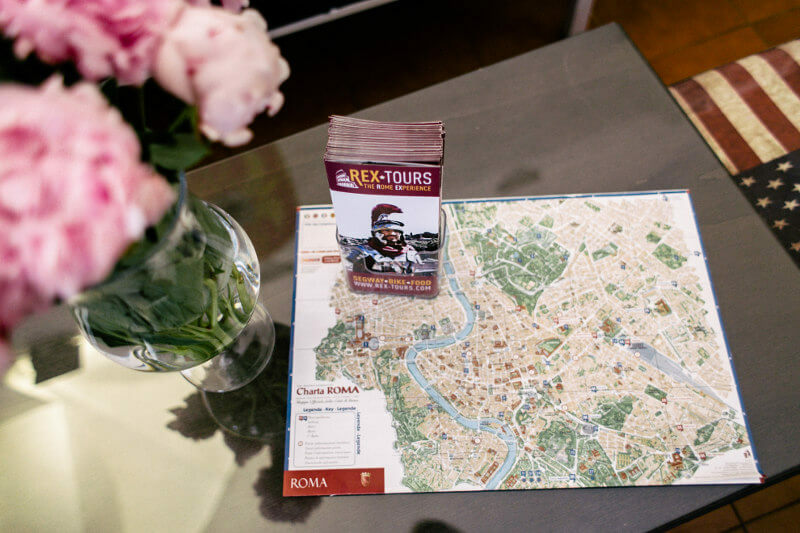 We welcome you and make sure your Rome EXperience will be unforgettable. Let us share our passion for this wonderful city with you when you book one of our tours. Thanks again and see you soon!